Plus Ruiner, SUPERHOT, and more. GOG's latest week-long sale knocks up to 90 percent off games with a Polish connection. 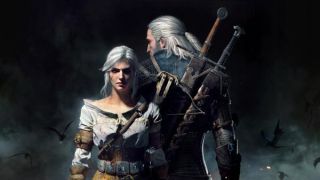 That includes The entire series of Witcher RPGs and their expansions. You can also get Frostpunk at a discount. It's a beautiful, atmospheric crisis management game set in a frozen wasteland. We gave it a score of 89 in our Frostpunk review. There are quite a few notable games in the sale. Anomaly Warzone Earth and Anomaly 2 are solid tower defence RTS games. This War of Mine: The Little Ones is a bleak survival game that puts you in charge of a group trying to survive a war. The Shadow Warrior shooters are dumb good fun, although the second one was given away for free just a few weeks ago. Ruiner is another good pick. It's a ferocious and cool cyberpunk action game with a great art style. Speaking of cool action games with a strong sense of style, SUPERHOT is half price. The sale is due to run until Monday November 12.